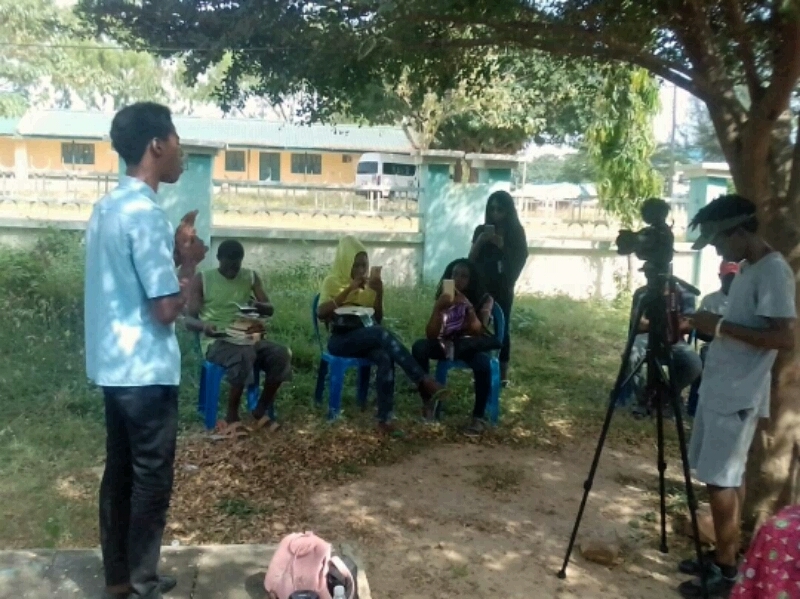 The Invisible-Borders project team was in Minna, Niger state on tour of documenting interesting people and places in Minna. 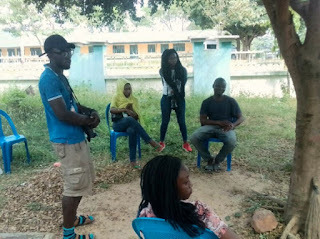 The team visited the the Hilltop Creative Arts Foundation and had a mentoring session with teenagers at the Foundation's Art Centre located at Hilltop school. Musa MC, a mentor at the Art Centre writes about the interaction between the teenagers of the Centre and the artists of the Invisible-Borders project team. 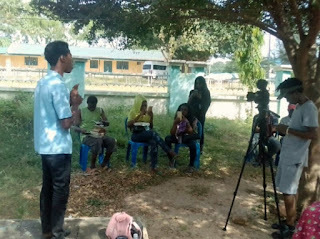 The Hilltop Creative Arts Foundation Minna, on Sunday played host to a group of artists from the Invisible-Borders project a non-governmental organization founded by Nigerian photographer Emeka Okereke. The group, led by Innocent Ekejiuba had since last year been engaged in the project of touring Africa by road and documenting the peculiarities of different states of these countries using photography and film. A total of 16 selected states around Nigeria were visited last year in the project tagged “Borders within”. The artists’, who said their movement was mapped in an anticlockwise way last year, have decided to move clockwise this year in order to cover states that were not reached. Their presence in Minna, the capital of Niger was to identify interesting places and monuments. Their visit to the Hilltop Creative Arts Foundation Minna which is also a non-governmental organisation with responsibility of mentoring and publishing teenage writers was to identify with the teenagers and also have a mentoring session with them. Innocent Ekejiuba who began the session with the teenagers requested to know what it felt like to be authors at a very young age. 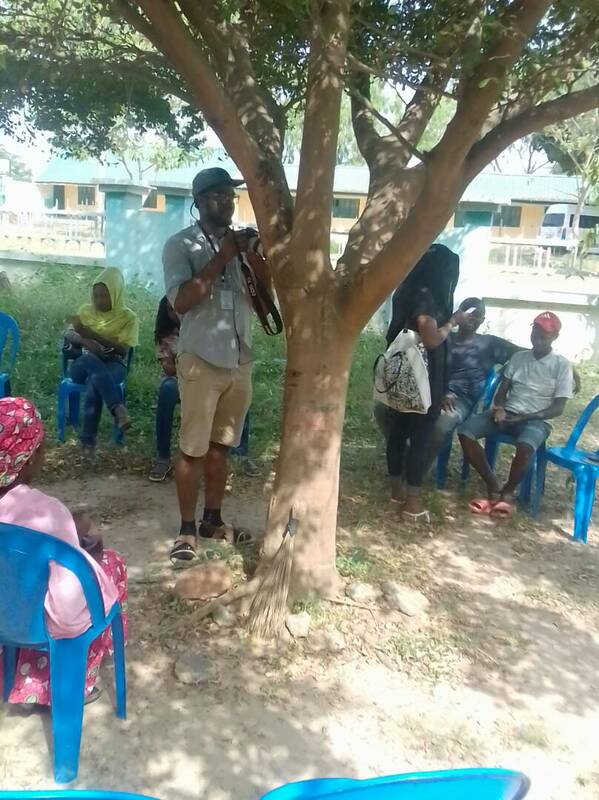 His session highlighted salient issues and why he left his line of study as a graduate of English Language to pursue a career in photography. He counseled the teenagers not be intimidated by any challenge as that will be one of the stories they will live to tell others. Kechi Nomu, is a poet and one of the writers documenting the trip. She took time to discuss with the teenagers of the foundation too and questioned the girls on how they combine home activities and writing. Her discussion centered on allowing their art to “mature’ before taking it out. She said the teenagers should not be in a hurry to take their writings to the social media as it only provides shallow appreciation and criticism. She encouraged the teens to be their own first editors in order to develop fast in the art. Some of the teenagers who had read some of her works and followed the news of her Brunel Poetry shortlist inquired how it felt to her to be on that shortlist. In her response, she gave her progress in the art to peer review and advised the teenagers to form a similar team with the support of the Art Foundation. The highlight of the visit was the presentation of books by the published teenagers to the team leader. In his appreciation, Innocence Ekejiuba, urged all the teenagers to be good ambassadors of the Hilltop Creative Arts Foundation.